This winter, there’s a new way for Syracuse residents to escape the notoriously snowy and cold upstate New York winters. JetBlue is offering a new seasonal nonstop route between Syracuse and Fort Lauderdale. So get ready for some beaches and sunshine. The daily service will run between January and May. Flights heading to Fort Lauderdale-Hollywood International Airport from Syracuse Hancock International Airport will leave at 3:10 p.m. and arrive in Florida at 6:31 p.m. Syracuse-bound flights will leave Fort Lauderdale at 11:30 a.m. and touch down at 2:33 p.m. JetBlue will be flying its Embraer 190 aircraft on this route. The plane’s two-by-two seating means that everyone gets a window or aisle seat. In addition to free snacks and soft drinks, there will be seat-back entertainment with DirecTV and SiriusXM satellite radio. Though JetBlue is actively growing its presence in Florida, the airline also wants to bolster its offerings throughout New York state. “As New York’s hometown airline, we are proud to further connect our home state with the Sunshine State by adding this new route between Syracuse and Fort Lauderdale-Hollywood,” said Dave Clark, JetBlue’s vice president of network planning. This route also gives travelers from upstate New York more options to get to the Caribbean and Latin America. JetBlue currently flies to Bogotá and Lima, and will soon add Mexico City and Quito to its roster. The airline also flies to Bermuda and has a big presence in the Caribbean, including Antigua, Aruba and other islands. JetBlue first started flying out of Syracuse in 2001. Since then, the carrier has expanded its reach in New York, and now flies out of eight airports across the state. In December, it will add Albany, New York’s capital, to the list. Fort Lauderdale is known for its beaches and parties. But you might want to explore other aspects of the area too. Take a bike tour that includes not only the downtown club district but also highlights of the local architecture and cultural history. There are also boat tours through the Everglades, where you might see an alligator in the Big Cypress National Preserve. 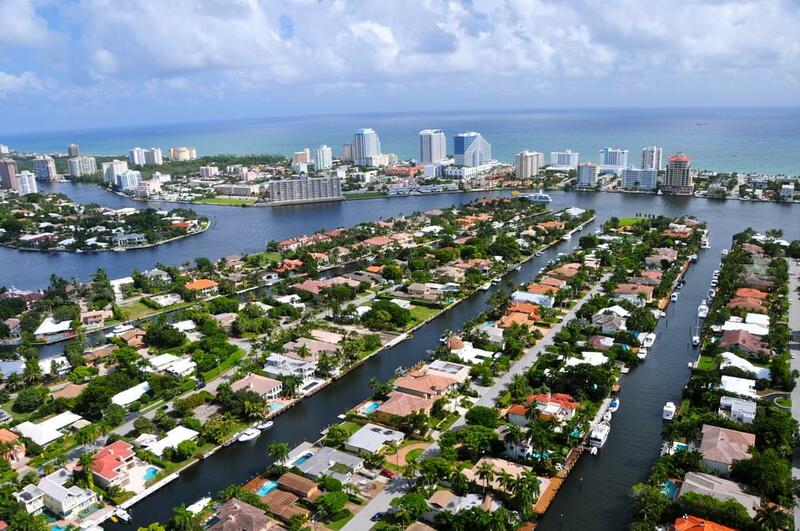 You may also want to check out other local faves, such as Las Olas Boulevard, Riverwalk Fort Lauderdale Park, Old Dillard Art and Cultural Museum and the Himmarshee district, which is known for its clubs. But then again, you might just want to relax on the beach and soak up some rays.